I’m back! I’m pretty sure you didn’t miss me too much last week though, given all the release preview excitement. 😉 The latest Stamping Bella rubber stamp release is of course now available to order, and inspiration for using the new images is in plentiful supply. 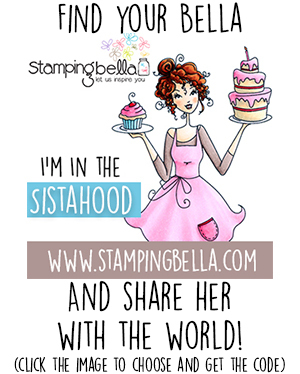 You can also share your love for the latest release, Stamping Bella and the Sistahood as a whole by displaying one of our new badges on your blog sidebar! In case you missed them among all the excitement, I’d like to draw your attention to the fact that I’ve started uploading colouring videos to YouTube once again! 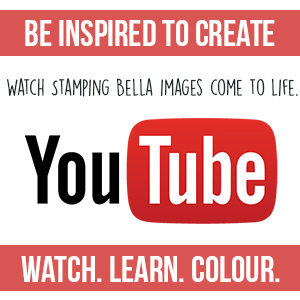 You can find all of my Stamping Bella related videos in my Stamping Bella YouTube Playlist. I invite you to subscribe to my channel if you’d like to keep up with future uploads, which may include other brands of marker than Copic, and quite possibly coloured pencils too. Make sure you have a browse through the playlist as some of the older videos might prove quite useful, including my Copic Galaxy Colouring Video (as seen on my Stamping Bella Nacho and Hayley The Superhero cards). Here’s the video which you can watch in HD below or over on Youtube. As you can see in the video, I start by mapping out the areas I think will be in shadow, or which would be darker in colour using my darkest marker. I then work backwards towards the lightest shade, which I use quite sparingly (I want to avoid over-blending and losing the texture I have created in the hair). When all of the hair is coloured I assess the image before going back and deepening some of the darkest areas using the darker markers. Thinkingofyouabella is a fantastic image for practicing both hair and skin colouring, as those areas are larger than on many of the other stamps in the collection (although I will point out that some of the other Bellas have fantastic legs to practice colouring definition on). 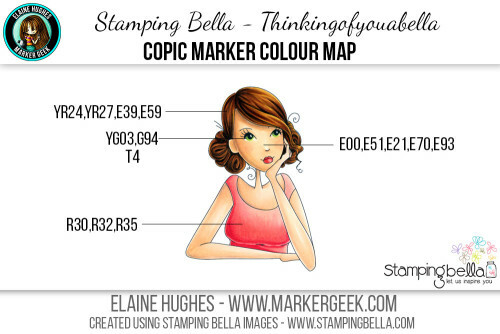 Here is a full Copic Colour Map for the Thinkingofyouabella colouring featured in the videos. 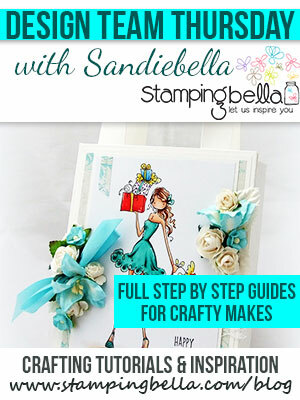 Remember that if you purchase Stamping Bella stamps you can obtain colour maps for the versions shown on the product packaging – go HERE to find out how to do that. Between those and the bonus colour maps featured here on the blog, you can build up a great library of colour combinations to try out with your own Copic collection. You may remember that in one of the first Marker Geek Monday posts I shared a set of Copic Hair Combos: Marker Geek Monday Copic Hair Colouring #1 (which includes some tips along with the Copic combo sheet). Today I’ve got a few more to share with you! Note: the skin combo I used on all of the examples in the image above was: E000,E00,E11. For more Copic Skin Combo suggestions please see my earlier post: Marker Geek Monday – Copic Marker Skin Combos. 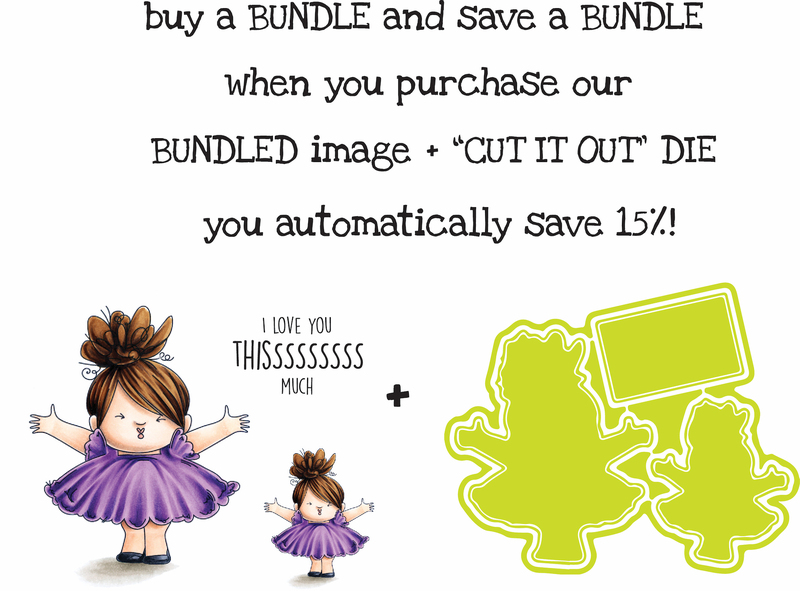 If you try out the marker combos in this post with your Stamping Bella stamps, be sure to share! We would love to see the results and hear how you feel about them. Show off your creations in the comments below and even better, share your own favourite hair colour combos with us. Let’s talk colour! If you are posting your images using these combos, we would love to see them on Instagram and all the platforms mentioned above! To make it easier for us to find you just use #markergeekmonday as a hashtag! Until next time, HAPPY COLOURING! I LOVE these tutorials! Thanks so much. Wow, so cool, love this information!!! Thank you so much for the color combos. It is always fun to try new and different combinations. This is beyond fabulous. Thanks for the great tutorial. Just love it. 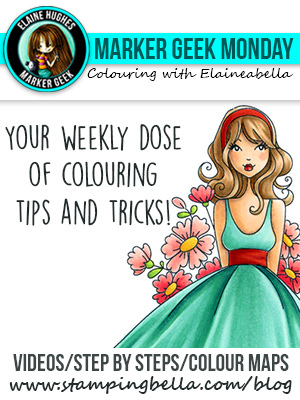 Fabulous videos… and I love that music too… it’s so relaxing watching you colour Elaine and that is the perfect accompaniment! Gorgeous! Keep posting these awesome video tutorials! Hi Helen! Sorry, no, I don’t use the Spectrum Noir brand.